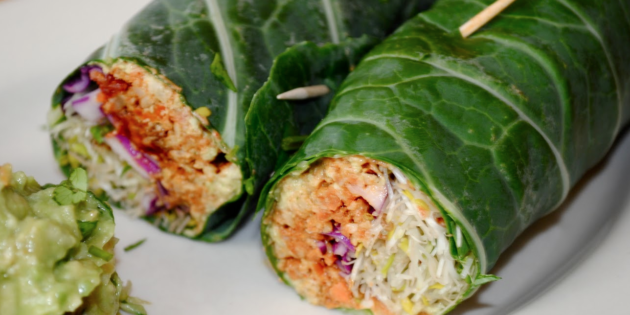 Try this Fantastic Super Healthy Green Burrito! 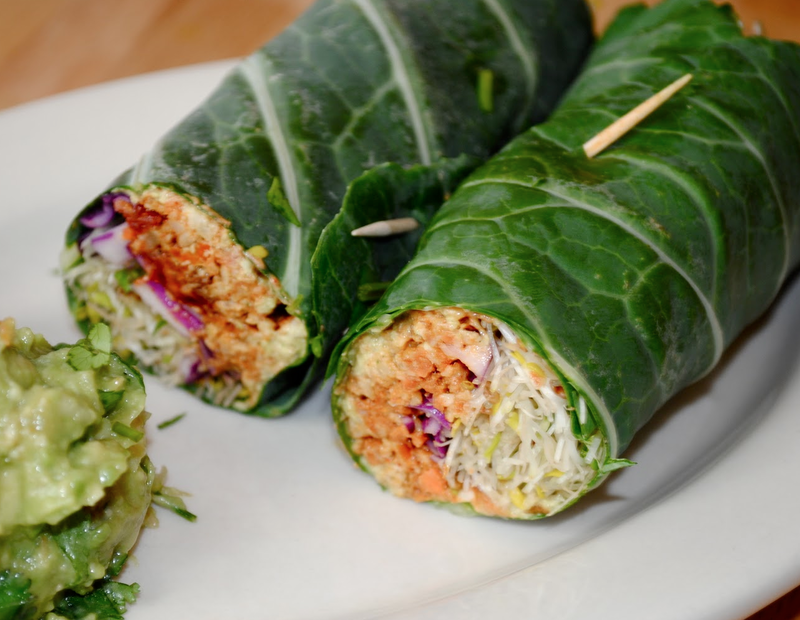 Serve this to any Skeptic who doesn’t think raw food can be good! You will have them blown away at the first bite. Add some super healthy dipping sauce to the side for dip lovers. Just blend up some fresh ginger, soy sauce, garlic and a little honey. You can change up the flavor by substituting the soy sauce with balsamic vinaigrette. Benefits: This is a great recipe for feeding a crowd! It’s easy to make, easy to serve, and easy to clean up. Just put the collard greens (or romaine leaves) on a plate, put the pate and salsa in bowls with serving spoons, and have plates and napkins handy. It’s nice to serve some juicy fruit as dessert. Puree in food processor or blender until smooth. Taste and adjust the seasoning accordingly. Blend well and strain through a fine strainer to get the runny juices out (drink the juice as a cocktail). Slice ripe Avocados, allowing 2-3 slices per burrito.